Barbara Konopka Forfar was born in 1944 in Newark (NJ) and grew-up in Kearny (NJ) during her childhood years. She attended St. Cecilia’s grammar school and St. Cecilia’s high school. 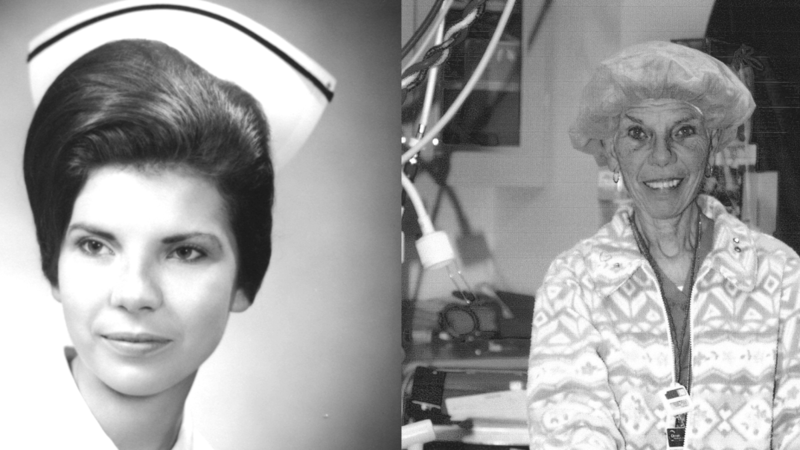 After her high school graduation from St. Cecilia HS in 1962, Barbara was accepted to and enrolled in the St. Joseph’s School of Nursing in Paterson (NJ). She earned her R.N. from St. Joseph’s and was licensed to practice as a Registered Nurse by the State of New Jersey on September 7, 1965. Upon graduation from St. Joseph’s, Barbara began her nursing career at West Hudson Hospital in Kearny and continued on staff for 3 years. In 1968, she married her St. Cecilia high school classmate and close friend Joseph Forfar. Barbara moved to Point Pleasant (NJ) in 1969 and became a member of the nursing corps in the Emergency Room at Point Pleasant Hospital that same year. After one year as an ER nurse at Point Pleasant, she transferred to the Operating Room where her career began to flourish. Barbara was a part of some of the most complex medical surgical cases in the history of Point Pleasant Hospital and became an expert in the field of laser surgery. After the closing of Point Pleasant Hospital, she transferred to the new Brick Hospital which eventually became the Ocean Medical Center and is now a part of the Hackensack Meridian Health Organization. “Foof” as she was called by her fellow Ocean Medical Center OR colleagues, was extremely passionate about her profession every single minute of every single day she was on duty. She always went out of her way to ensure the welfare of her patients’ as well as other patients’ throughout the hospital if needed to do so. Barbara achieved scholar status, the highest possible level on the R.N. clinical ladder program and held national certification as an Operating Room nurse. After a stellar forty-four year career in nursing, she retired from the Ocean Medical Center in October 2010. A loving wife, caring mother and devoted nurse, Barbara left us on January 15, 2011. “Foof” will be dearly missed by her family, her friends and all her colleagues in the medical profession.